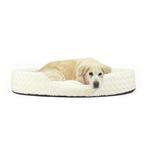 The FurHaven Ultra Plush Oval Pet Bed - Cream is the perfect cat or dog bed for a cozy unwinding spot! 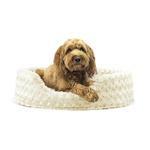 The FurHaven Ultra Plush Oval Pet Bed - Cream will keep your pet cozy and comfy while adding a stylish compliment to your home decor! 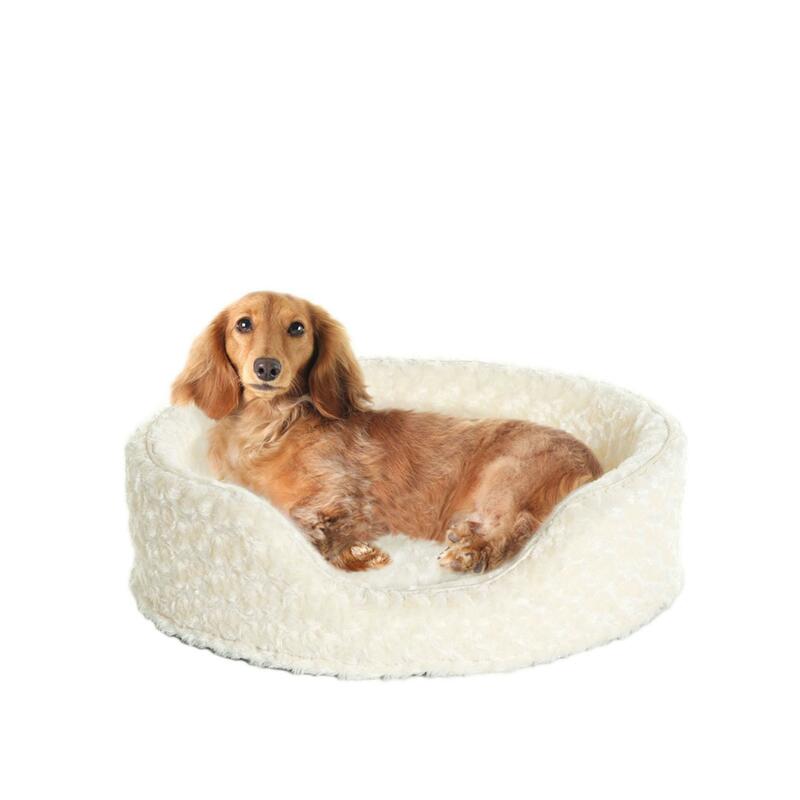 The ultra plush fabric is luxuriously soft and your pet will enjoy hours and hours of comfortable sleep on the tufted pillow base. 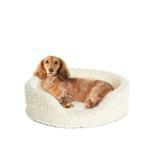 The matching insert pillow base is filled with high-loft polyester fiber and tufted for extra comfort and better washing. It is also removable and hand washable for more frequent cleaning of the sleep surface. Medical-grade foam rail walls support your pet's back and hips promoting a better, more comfortable rest. The rail cover is zippered and removable for easy-care washing (machine or hand). I was very happy to find a step in harness for my 4LB poodle.